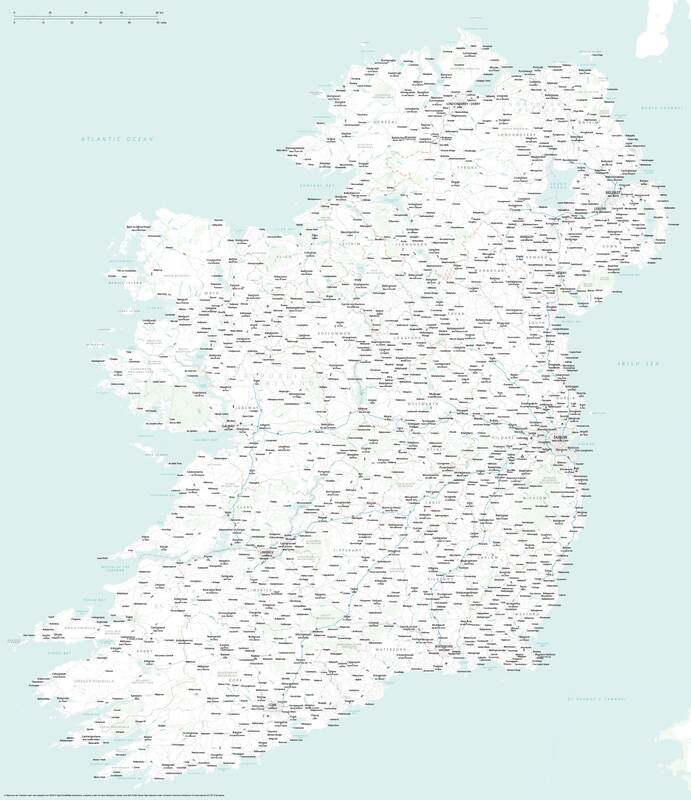 This is our most detailed editable base map of Ireland to date, with all roads, railways, rivers, counties, urban layers, beaches and ferry routes for both Northern Ireland and the Republic of Ireland. 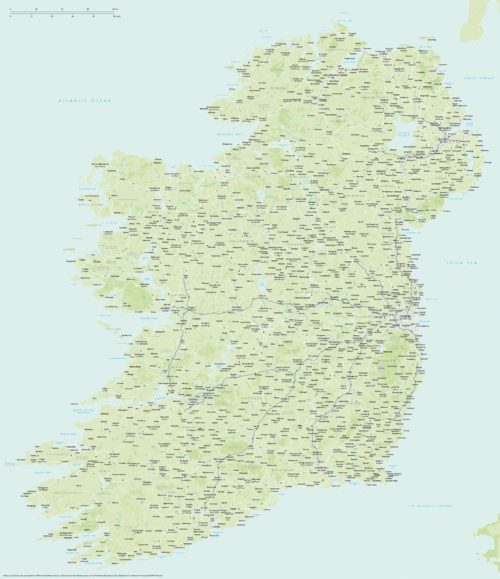 This map is suitable for graphic designers and printers to print as wall posters or use for commercial and planning uses. There is a wealth of detail, with approximately 1,400 towns and villages, 17,000+ roads, great coastal detail, rivers, urban background layers and green areas. 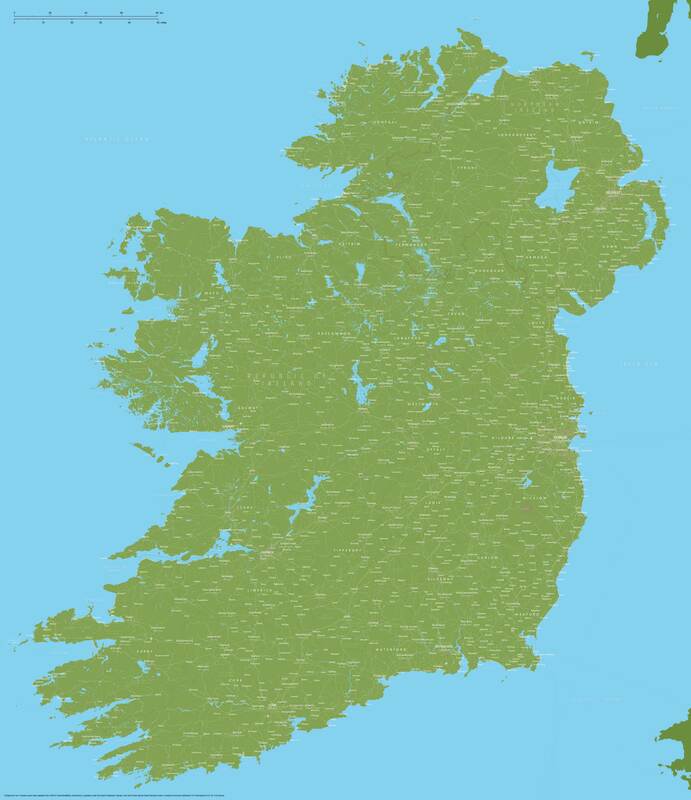 The national boundary and county boundaries of Ireland are all included on sub-layers. 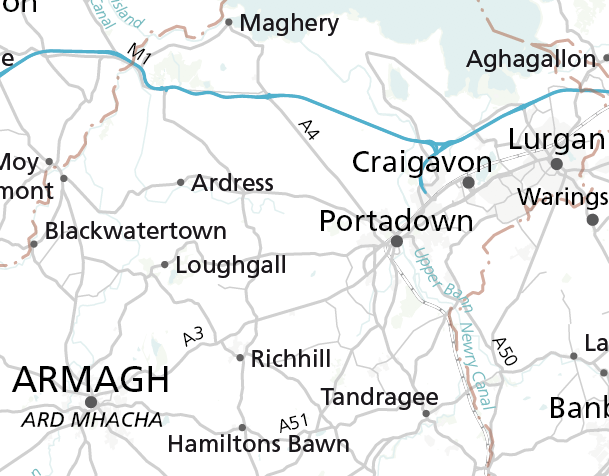 The zoom previews with magnifying glass on this page are low-resolution and intended only to show the full extent of the map and five different example styles that are supplied as both PDFs and editable, layered Illustrator files in the download package. We are unable to show high-resolution previews of the full images on zoom previews owing to the limitations of JPEG size that can be uploaded to a website. However, the PDFs and Illustrator files supplied in the download package are high resolution and sharp at any scale. As this is one of our more complex map bases, we strongly recommend using Adobe Illustrator software if you want to make advanced colour and font changes, etc. The snippet images below demonstrate small sections from the example styles supplied. Five different styles are included in the package. This style with subtle colours on a white land base is a good backdrop if you want to plot extra locations, routes, coloured icons or labels on a top layer. 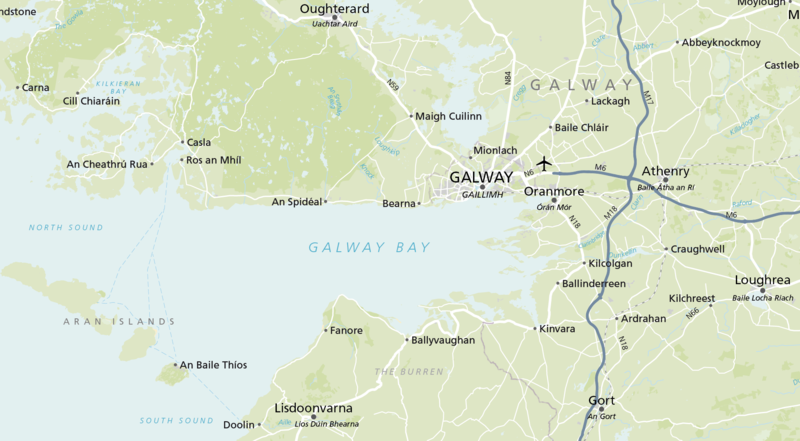 This zoomed in section of version 1 of the example styles supplied shows the coastal detail around Galway with a soothing green backdrop. Version 3 styling example for the Ireland map uses strong colours and white labels. You can change the colours to whatever you want using Adobe Illustrator software. All the text is live in the vector artwork Illustrator base, so you can change the fonts easily. In this example we have used a serif Garamond font. 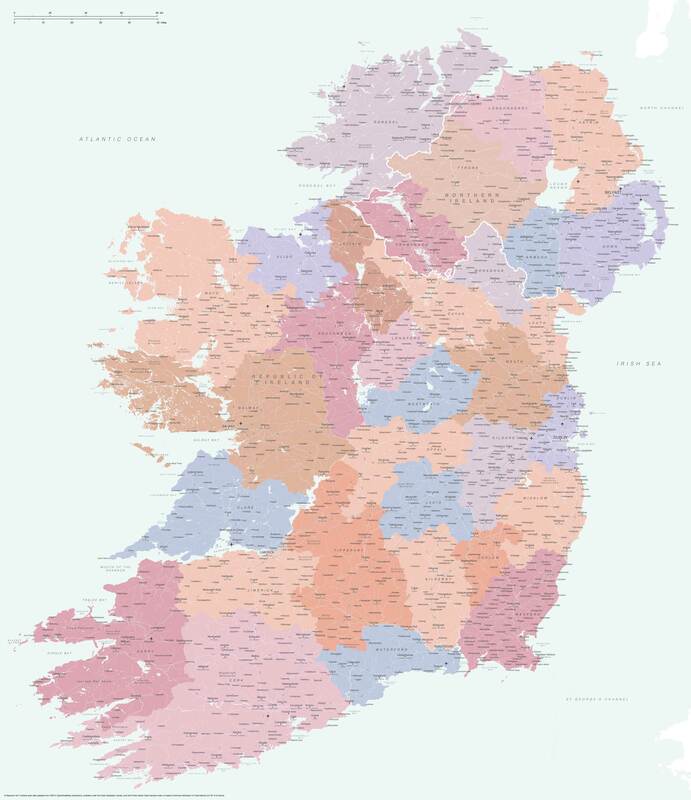 The detailed map of Ireland also contains sub-layers for all the Irish counties which means you can give a different colour to each county to highlight administrative boundaries and areas.